Looking for a way to stay on top of your credit score? Sign up for Credit Sesame to see your credit, loans, and more, all in one place! 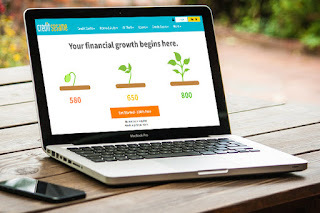 You’ll get a complete picture of your credit score, and get credit monitoring, market monitoring, customized financial analysis, and unbiased loan and savings recommendations all for FREE! View your FREE Credit Score! Credit Sesame is one of the best (Free) monitoring service. It’s truly Free (No credit card required. No trials to cancel) and they don’t try to reel you into buying other services. See how you score on the most important credit factors and get your free score from Trans Union updated every month. When you turn on Credit Monitoring, you’ll get $50,000 identity theft insurance. Sign up to get your FREE Credit Score and Savings Advice from Credit Sesame.